If you like custard puff, then you must try this recipe with only 5 ingredients and it has no egg in it. 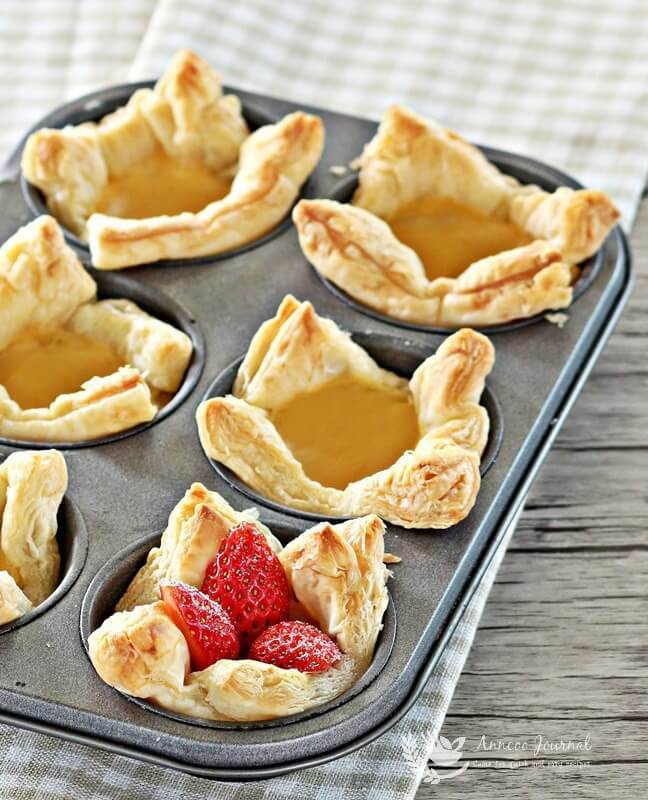 The preparation is really easy for it takes you within 10 minutes to cook the custard and about 20 minutes baking time. 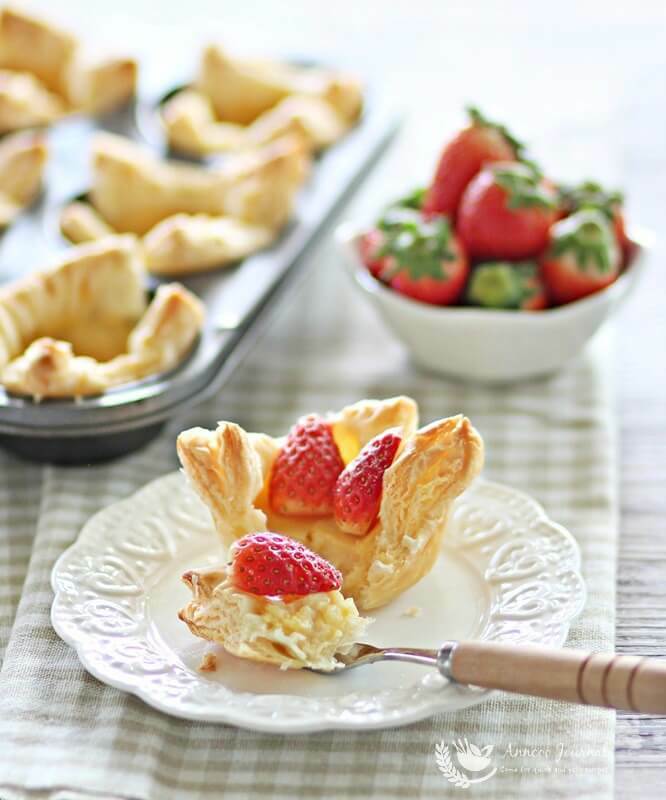 Then you can enjoy this yummy snack for an afternoon tea with your loved ones. Preheat oven to 200 deg C. Grease a 6 hole muffin pan with little butter. Cut pastry to 4 x 4 inches square or round with a cutter. Then insert each into prepared pan and prick base with a fork. 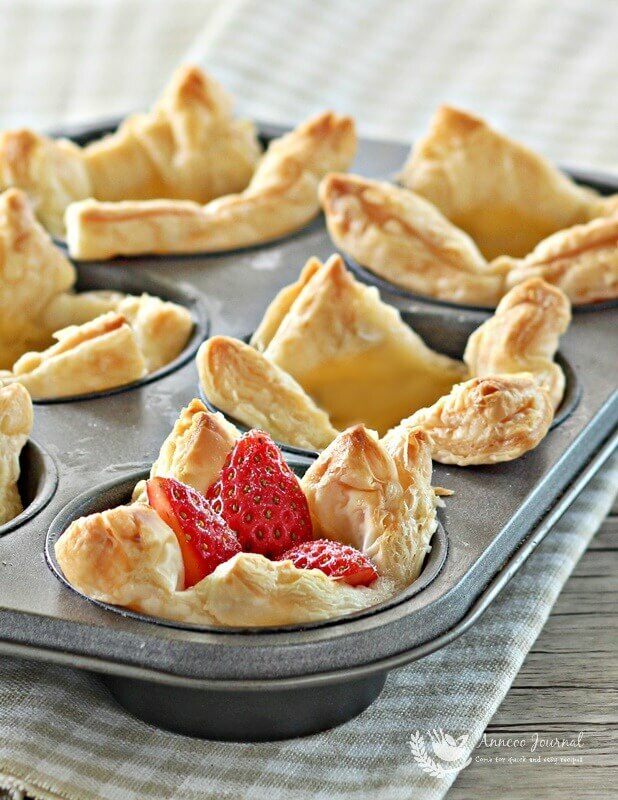 Place the pan with pastry back to the fridge for later use. Place custard powder and sugar in a small saucepan. Add little milk to form a paste. Pour in remaining milk, whisking until combined. Heat on low, stirring constantly until thick. Remove from heat and cool slightly. 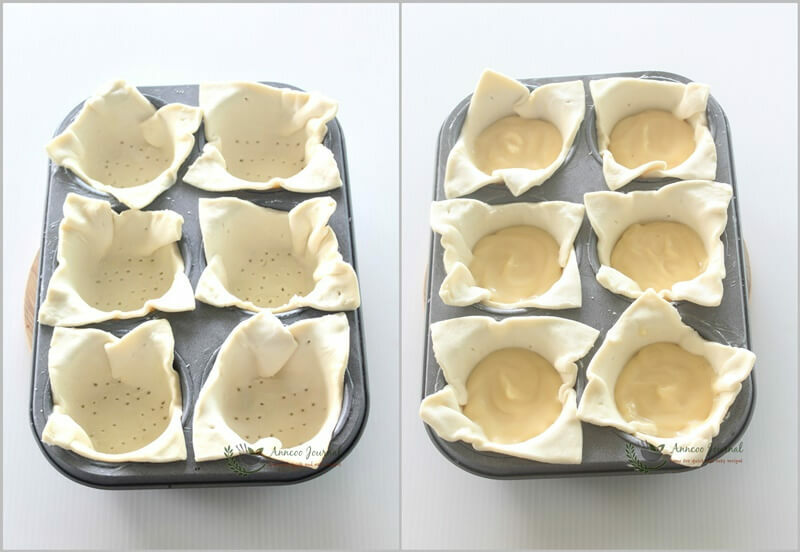 Take out the prepared pan with pastry from the fridge and fill in custard evenly. Place the pan in the center rack of the oven and bake for 15-20 minutes, until puffed and golden. Cool custard puff in pan. Serve as it is or you may like to top up with some fresh strawberries. happy new year to you Ann! 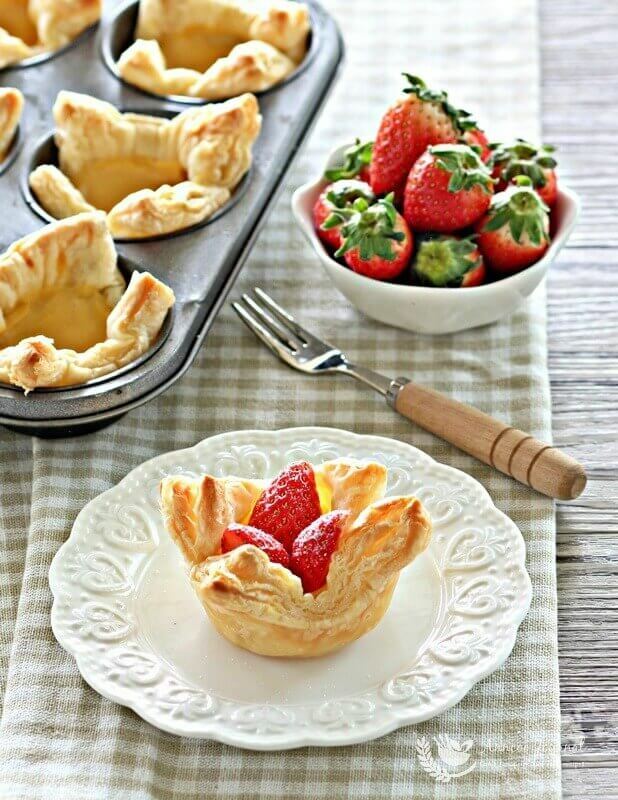 what a beautiful pastry that's made with simple steps! brilliant! Yummy pretty looking puff pastries! would also make it look preetier! They are so pretty and who would have thought that it just requires 4 ingredients! Well done, Ann. They look sooo cute and inviting! Ann, it sounds really easy and so beautiful to look at too! These are so cute! I can't believe that this is only 4 ingredients!